Bigger sized body butter, better price. Perfect for those of you who are addicted to our body butters, we know you always want more. 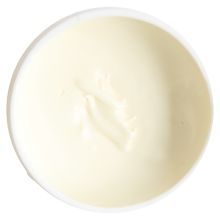 Our creamy and luxurious body butter is made from high amounts of superb natural butters known for their moisturizing properties, shea butter and cocoa butter. Blended with our gorgeous oils, this will deeply moisturize your skin yet absorbs quickly, leaving your skin smooth, soft and supple. Hydrating even for the driest skin. 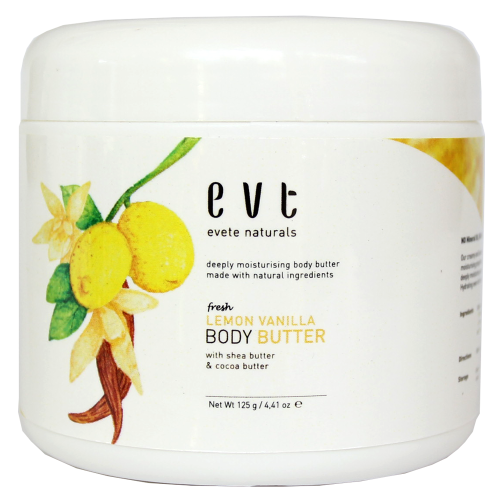 Scented with a combination of lemon and vanilla, this body butter smells amazing, fresh and sweet, imagine lemon pie. How to use: With clean dry hands, scoop a little bit of the body butter and slather it on the driest areas of your skin. Perfect to use on dry hands, elbows, knees and feet. Tips: Slather body butter on your feet at night before bed, put on some socks. Voila! Softer heels in the morning. IMPORTANT NOTE: Our body butter melts easily. When choosing SHIPPING METHOD, please choose express services like TIKI ONS or JNE YES to make sure that your body butter arrives safely.